I recently bought and paid for in full (have bill of sale) a new truck from Denny Andrews. They sold it to someone else before I could pick it up - with no apologies! I was treated most professionally by the service staff. There quick and prompt service was second to none, had me back on the road the same day, and under the price quoted. I highly recommend coming here. Thanks again! I went in looking for a newer used SUV. I was not taken seriously when I walked in. I knew what I wanted when I walked in the staff was not willing to work with me and my budget. I would try and talk to the staff and they would either talk over me and not listen or tell me I have no idea what I am talking about. I would never recommend going their for a car buying experience. "Brand new overheating truck.Come back next week they said." 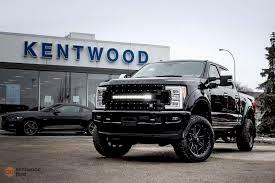 My 3 month old F150 was overheating limping down the road.So i called Denny Andrews Ford.Saying my truck is overheating and barely moving.They said bring it in next week i said f... no I'm bringing it now . Another person came on also trying to get rid of me. I told him to f. off and hung up and proceeded to drive there. When i got there i went to manager . When he came and talked to me he asked if i told him off. I said yes . Of course nobody wants to help with my truck claiming they're to busy, but when i got there,was no one there and everyone just sitting around. They also claimed the only way they would give me a loaner is if i had extended warranty. Nobody should have to go through that after purchasing a vehicle. "Great place to buy a Ford"
I purchased a 2017 Ford Mustang gt from Denny Andrews Ford.My salesman Ryan was great and very involved with the Ford product himself.I purchased with no financing and got what I considered a fair deal.Ryan introduced me to other staff members in the facility and took me through the dealers different departments as well.Overall experience was very good.Ryan also introduced me to Joe and finance manager James.Good people and very professional in all aspects.Ryan arranged for the Mustang in the showroom to be fired up so I could listen to the exhaust,wow a lot of fun.I was also introduced to Chris who installs performance equipment on mustangs and other cars and trucks. Went in to look at a new vehicles and had a great experience. Derek was very friendly and answered each question we had for him. Would recommend this dealership to our friends! "Mom buying a family car"
Denny Andrews Ford helped me purchase my first brand new car for my growing family. I went in nervous and afraid to even look at a new car as I always feel clueless when it comes to car shopping (car anything!). The sales team at Denny Andrews made me feel calm and comfortable and made my experience unforgettable. They asked me all the right questions but never made me feel pressured at all. I would definitely buy there again and send all my friends to see the team at Denny Andrews. Thanks again! "Denny Andrews is a great car dealership"
Very helpful. Asks the right questions- narrows down to exactly what your looking for small options. No pressure. Dereck is the guy you wanna see when buying anything vehicle related. Servicing following purchase is friendly and quick!! See recommend!!! !